This is (finally) the last post about the plants I found on a hike up Bear Mountain earlier this month. 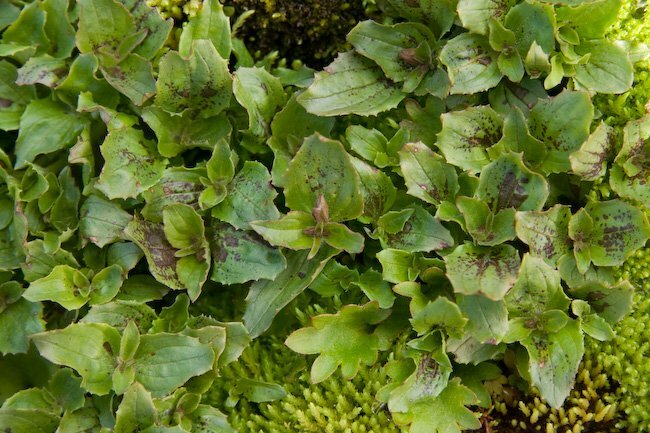 This will be sort of a catch-all of plants that I thought were interesting but didn’t make it into one of the previous posts. When I first saw this plant, it looked like a plant in the pea family, but I was totally sure about that. I looked for seedpods, but did not see any until I looked carefully at my photos when I got home. 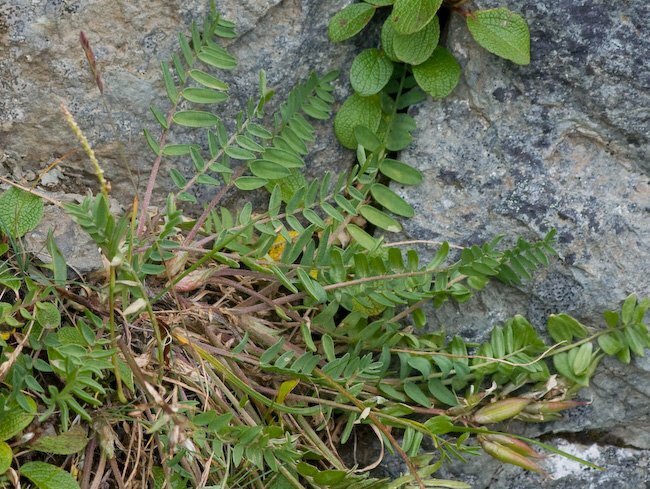 I did not look closer at the actual plant because I only saw them growing on a very steep (almost cliff) slope with loose rocks and a long drop. I opted to just take photos from a distance rather than risk the fall. 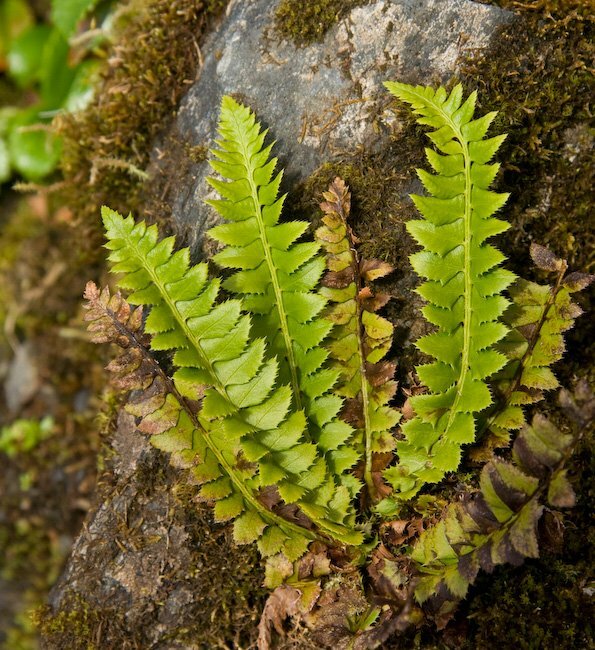 This does not seem to be an especially common fern around Sitka, though I have seen it a few places. 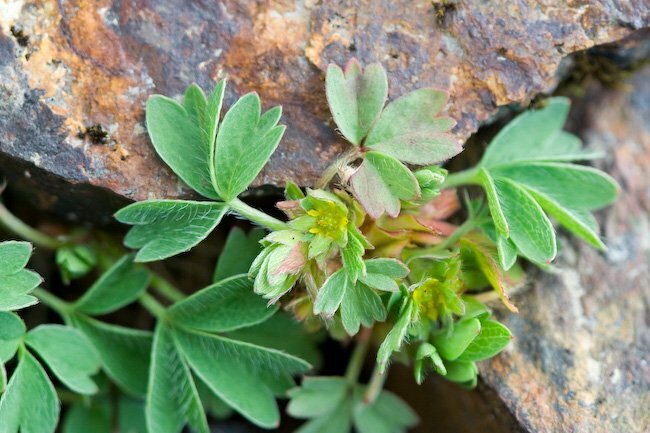 If I saw this plant growing on rocks along a beach, I probably would not question it as a Villous Cinquefoil (P. villosa). However, I have never seen it at upper elevations before, though it apparently does grow in the alpine. 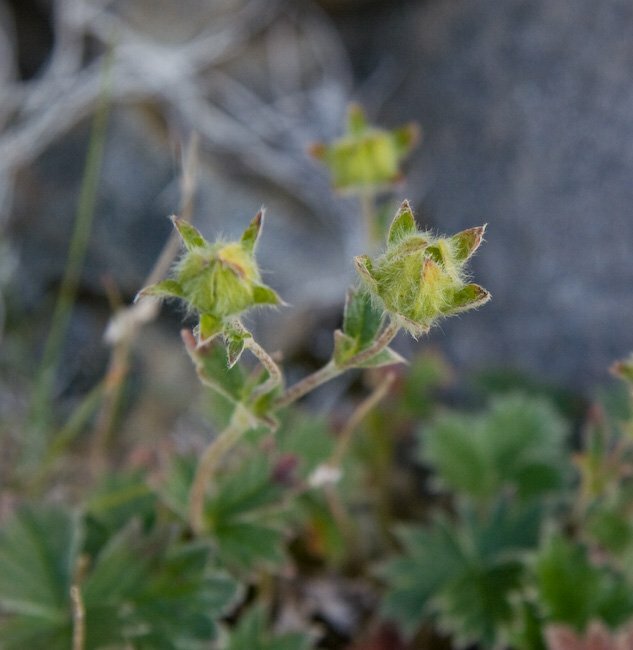 I would not be surprised if it is Villous Cinquefoil, but there are other alpine potentillas that I am not sure about. One particular difference I notice is that the leaves seem much coursely toothed than I am used to seeing on the beach. I only found it on the summit ridge at around 4000 feet, or so. 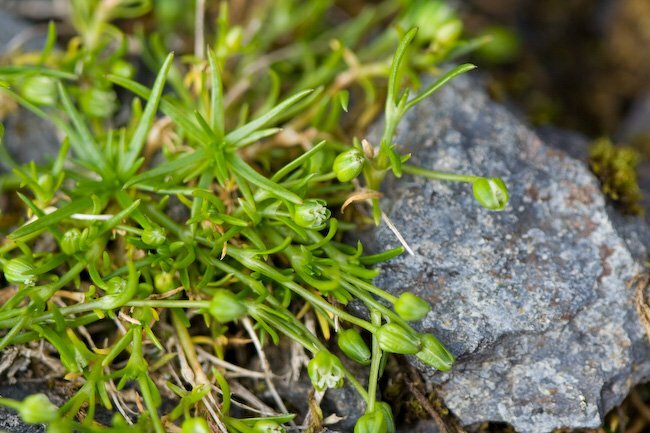 It seems most likely that this is Snow Pearlwort (S. intermdedia) or Arctic Pearlwort (S. saginoides). Habitat seems to fit better with Snow Pearlwort. 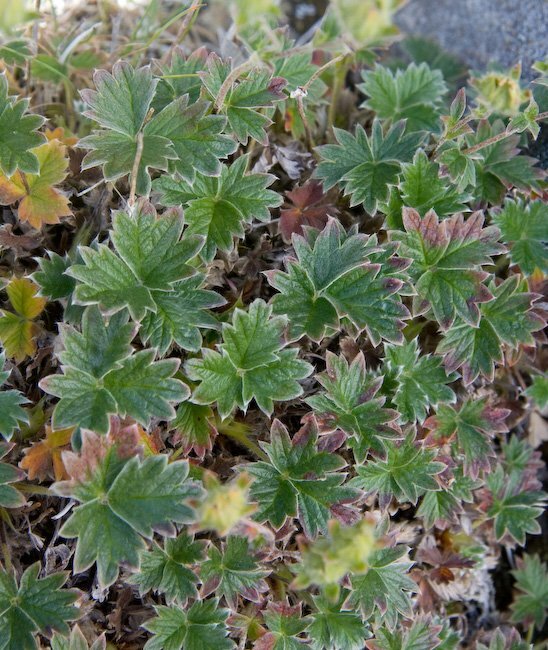 This was a new-to-me plant that seemed restricted to the alpine areas. I’ll have to try to get up again a little earlier next year to get photos of the flowers. 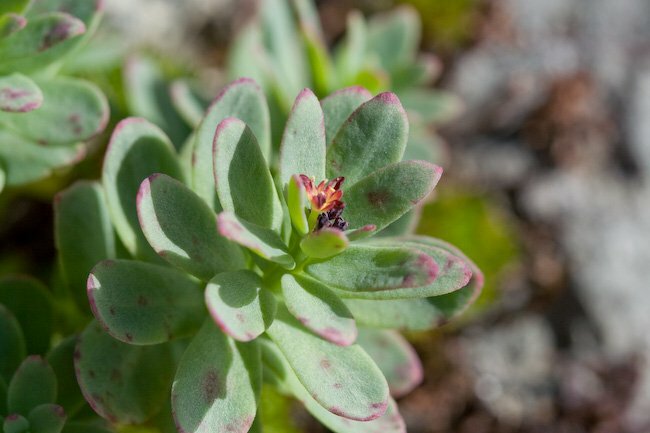 Another new-to-me alpine plant that I only saw in the alpine areas. In this case I managed to find some flowers, though they are fairly inconspicuous. 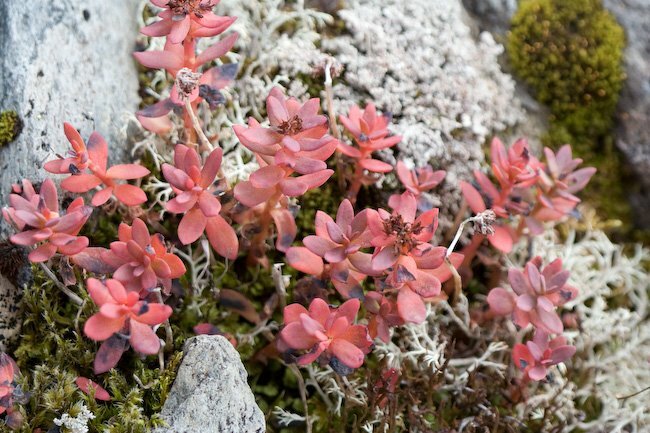 This entry was posted in alpine, flora, identification and tagged Alaska, alpine, Bear Mountain, flora, mountain, Sitka, wildflowers. Bookmark the permalink. I never actually knew where sedums grew wild before. Thanks for the photos and the lesson!